The research is crystal clear: traditional tutoring just doesn’t work. Homework may get completed, but students just don’t learn how to do it themselves, and they don’t learn the skills they need to be independent learners. With the new Strategic Tutoring Series, however, you can set up “homework help centers” where students not only can get the help they need, but also learn how to complete similar assignments independently in the future. 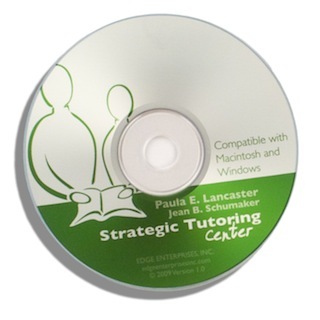 Central to the formation of these centers is the manual in this series, Strategic Tutoring. This manual provides a simple process that enables tutors to help students complete their immediate assignments, yet at the same time teach them a strategy for completing similar assignments on their own in the future. Also in the series are the Beginner Professional Development Program for Strategic Tutors and the Advanced Professional Development Program for Strategic Tutors. 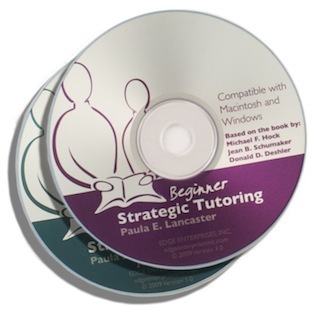 These programs are contained on separate CDs and can be used by tutors-in-training to learn how to be Strategic Tutors. 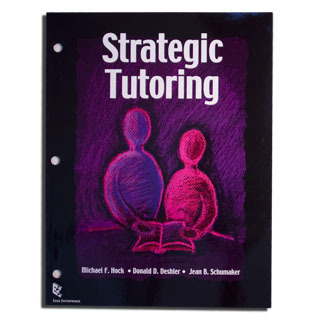 Other items currently being created for this series are a handbook for establishing Strategic Tutoring Centers within your own community and a Professional Development Program for Directors of Strategic Tutoring Centers.